Elevating our thoughts & attitudes from pessimism to optimism based on what God says. We look to our left & right, we scroll up & down … all the while comparing our messy reality to others' perfect snapshots. We’re constantly trying to evaluate how we measure up to the people around us. 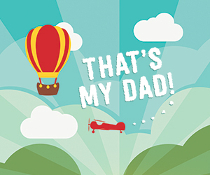 Our friends have become our audience and our job success, activities, and even our kids have become part of our brand. Not only is it exhausting – it’s dangerous! It’s a trap! But there is a way out. For 3 weeks, we’re going to discover how to escape the Comparison Trap! Do you suffer from ‘Obsessive Comparison Disorder’? Discover the way out this Sunday at Daybreak! Does the ‘Fear of Missing Out’ keep you on edge? This Sunday at Daybreak, we’ll talk about it and learn how to combat FOMO with gratitude. 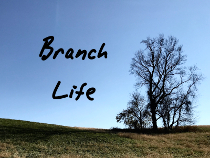 Learn how tree life is similar to our spiritual life. The obstacles in our life can feel like mountains. We often think of Scriptures that talk about moving mountains; but sometimes we’re not supposed to move the mountain…we’re supposed to climb it. Join us as we see what happens on the mountains! Will you follow in the steps of Noah and walk faithfully with your God in 2019? Our trust in God and acts of obedience are put to the test. How far will you go? Faithfully living for our God who keeps His promises. A fiery showdown that will draw you closer to God. God calls us to a multisensory journey of following His Son, Jesus. Are you all eyes and ears? Receiving and accomplishing our mountaintop-mission to make disciples … until Jesus returns to this same mountain. As we look forward to 2019, how can we better prioritize our day, week, month, and year so that God is FIRST? Join us as we talk practical ways to prioritize the important things of life. Discover how prevailing prayer brings God's power and breakthrough! Over two thousand years ago, a star burst through the darkness and signaled the long-awaited, yet still unexpected birth of a Savior. This Advent season, you are invited to follow the star. It’s not just about the destination, but also about a journey we can take together to experience God’s Hope, Love, Joy, and Peace. Description: Advent reminds us to live with expectant hope as we wait for the birth of Christ at Christmas and for the complete fulfillment of hope when Christ comes again. Description: Experiencing the depth of God’s love, which has been there from the start, is enough for all of us, and overflows in our lives to others. Description: The good news that Jesus has come to save us brings great joy that is for everyone! But how can we experience that joy alongside the pain of life and respond to joy in worship? Description: Abiding with the Prince of Peace and resting in that perfect peace that comes from trusting in Jesus. How can we take this peace into the often-chaotic world around us? Description: God’s story - past, present, and future - has become our story in Christ Jesus. Tonight we follow the light of God’s star to Jesus and experience His hope, love, joy, and peace this Christmas. For the next 4 weeks, there will be standing room only at Daybreak! We’re going to courageously make the choice to take a stand even in the face of a compromising culture. 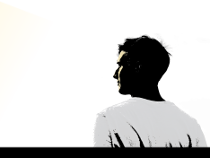 We’ll be learning from Daniel and examining pivotal points in his life when he stood for God. Covering everything from him being first captured as a boy to the lion's den to the fiery furnace, we'll see Daniel and his friends Stand Out, Stand Strong, Stand In, and Stand Firm for God. Standing out for God requires us to make some decisions ahead of time. Kneeling to pray is where we find the strength to stand. “You are very precious to God.” What does this mean and how does it impact my confidence for living? An incredible story about people’s faith in the face of danger will leave us taking inventory of our faith in God. Do we obey God all the way? Do we believe in spite of what we see? Because the Eagles are playing in London, kickoff is 9:30 am EST. Wear your favorite team’s gear and join us for a fun worship service. Everyone is invited to stay after for the live Eagles game! 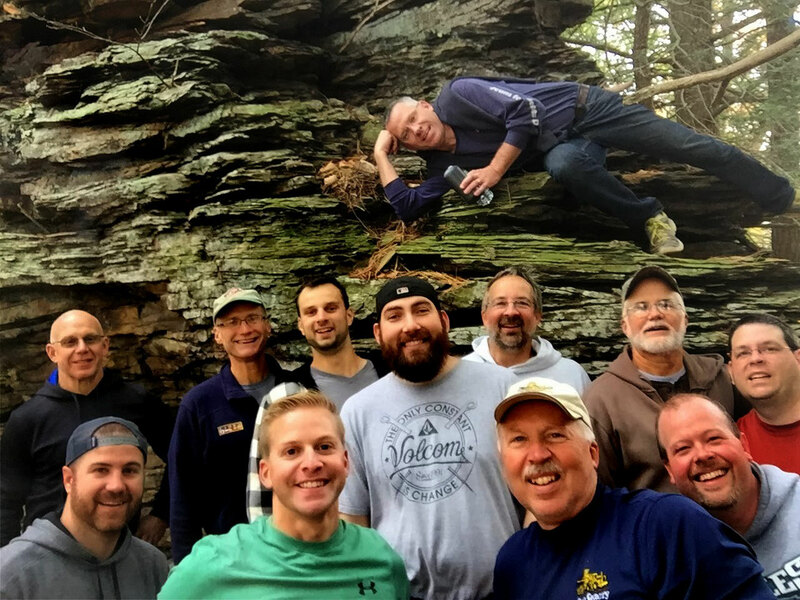 Daybreak’s annual Men’s Retreat continues to be one of the highlights for the men each year as we break away from regular commitments and enjoy time away with other brothers in a picturesque setting. This year, was no exception. We were blessed with beautiful weather and enjoyed every moment of it including a hearty hike up the mountain, clay pigeon shooting, campfires, Kan-jam tournament, and mouth-watering steaks cooked over the campfire. Some of the highlights this year also included an early morning trip to Elk Country in Benezette, PA, a shooting star that flashed across the clear night sky, delicious homecooked meals, a wacky but entertaining board game called “Robo Rally” and a breathtaking scene at Hyner View State Park. Matt led us in worship outside around the fire. We also used a resource from Carey Nieuwhof to guide a session together on Friday evening about compromise and character. God wants to help us close the gap between who we really are and who we want to be (Romans 7). We were challenged to make our talk match our walk. No more lies. No more secrets. If we commit to telling the truth about ourselves, our walk will accelerate. “Competence gets you in the room, but character that keeps you in it.” (Carey Nieuwhof ). In keeping with tradition, after our Friday evening session we enjoyed homemade pies and ice cream. It was a real treat! 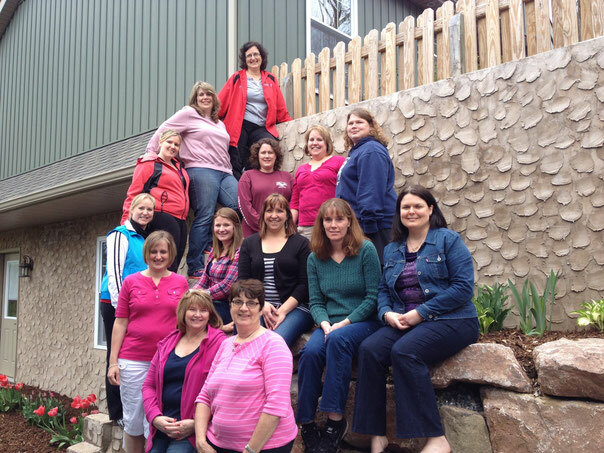 We wish to thank Phil and Kent for hosting the retreat again this year and for all their preparations! It was truly a refreshing and renewing time! How do I know God is real? Is there really only one way to heaven? We’ve all grappled with these questions and others like them. The good news is…there are answers! Invite someone to join you! Whether you grew up in church, or are new to your faith, or are questioning what you believe in, this is a great opportunity to ask your toughest questions and discover real answers. Join us as we examine various arguments and tackle this first question! We’ll sort this out as we discover what makes the Bible so unique and wrestle with whether we can really trust this all-time best-selling book. Description: Monica will be sharing about the inspiration behind her recent book and God’s direction in her life. We will be praying in many different, creative, and meaningful ways during this family worship service! What would it look like in your life to be fully led by God’s Spirit in every moment of every day? Join us as guest speaker Bill Beck shares how his life has been shaped by the Holy Spirit in unexpected ways. ...which feeds 119 children for a year. 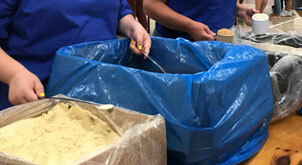 Two more packing shifts were scheduled for the same day... imagine the impact on the children in need! ... the pouches heat-sealed, then boxed and stacked. See the slideshow of our team in action, working alongside the other volunteers! Bad attitudes? Good attitudes? Meh attitudes? What attitudes do you battle with? You’ve heard it said, “Attitude is Everything” and it’s so true. This summer at Daybreak, join us as we find attitude-improving truths from Paul’s New Testament letter to the Philippians! What does it look like to adopt the attitude of Christ even during the difficult times of life? Uncovering the benefits of life-giving connections with others. Who are you praying for and encouraging? Reshaping our attitudes during the high-rising pressures of life. What new life outlook can you choose? How can you experience joy-filled, fun, productive, and loving relationships with others? It may have more to do with you than with them. Are you a chronic complainer or grumpy grumbler? No worries, we all have those days! We’ll discover how an attitude shift can turn our darkest outlooks into brighter impact! July 8: "Be the Church"
How is the church more than a steeple and the people inside? 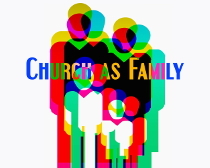 We'll be learning how Jesus originally intended the church to function. Selfless or selfish? How can we apply these Christ-like serving qualities in our own life and vibrantly live them out? Where does our true confidence in living come from? Impressive resume and accolades or a deepening relationship with Christ? What are you chasing and pursuing in life? Discover a powerful life-changing strategy! Do you know any pesky people? 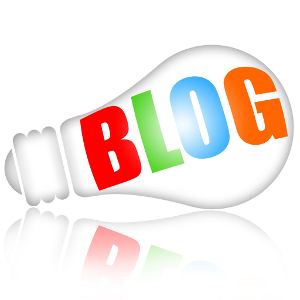 Learn some fresh attitudes that will help us deal with those people! 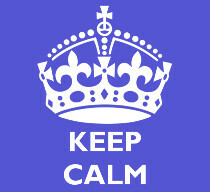 Discover antidotes to pervasive and debilitating worry. Earlier contributions appreciated so we may plan what is needed to fill out the completed kits. More information at Mennonite Central Committee website. Discover what it means to be known by God, to know yourself, and to be known in the context of a community and relationships. Experience the life-changing journey of “Come Alive”. 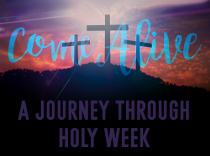 During Holy Week 2018, Daybreak’s diving into the significance that Jesus’ sacrifice, death, and resurrection hold for our lives today. Join us for these 3 powerful worship experiences! Looking closer at Palm Sunday and the snapshot that represents all of Jesus’s life: His love, sacrifice, and commitment to a greater story, to God’s ultimate work. Jesus’ ultimate sacrifice gives us many reasons to hold our head high! Join us for this special evening worship celebration! So what is it? Chances are it’s something uncertain, something out of your control, or something that’s “up in the air” - which is why anxiety hounds us. And it’s why we find ourselves far too often struggling to fall asleep at night. 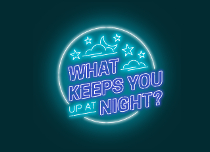 Join us for “What Keeps You Up at Night?” as we seek to find calm in our chaotic world by learning new skills that help us to truly trust God. Stabilizing our anxious souls with the sovereignty of God. Making our gentleness evident to everyone while trusting in the One who is with us. Praying specifically and with gratitude about the anxious parts of our life. Holding on to God’s peace and promises in stormy anxiety. What were your favorite games to play as a child? The games we played as kids can sometimes feel like the games we play as adults! Join us for this new series as we explore life lessons from classic games that contain hidden biblical truth. 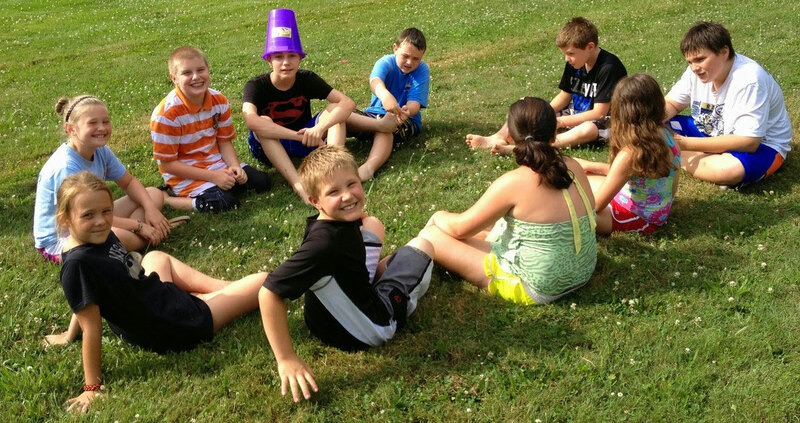 Get ready to learn, laugh, and have fun with Games People Play. The early church in Acts connected 4 core practices to experience spiritual victory! Learn how our church has a similar game plan and seeks to advance in 4 key areas. Sometimes our homes, our workplaces, & our neighborhoods feel more like battleships. 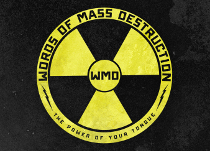 We’re slinging all kinds of missiles like gossip, lies, hate, envy etc… that cause relational damage. Hit. Sunk. When anger wins, we lose. Discover how to express your anger in healthy ways to those on your battleship. What’s the foundation of Christianity? Remove this Cornerstone and it quickly falls apart! Have you negated someone’s progress by your words or actions? We’ll have fun with this classic game and Jesus’ teaching as we learn to forgive as we’ve been forgiven. How we communicate gives us incredible opportunities to spiritually influence others. In this new year, don’t just strive to be a better person—but let God make you into a new one. Listen to discover how to be made new in Christ. Tim currently serves as director of Netzer, a regional ministry for pastors and churches. This Christmas Season, celebrate the greatest gifts we could ever be given. Join us as we celebrate how Jesus’ birth changed everything and brings us hope, love, joy, and peace even today! Discovering timeless hope in the past, present & future that strengthens our confidence in God. Today we open the next gift Jesus has given us this Christmas: LOVE. Listen as we learn to accept, experience, and share this precious gift. Joy is a gift from God - so let’s anticipate it, recognize it and choose it this Christmas season. The light of the world has come to earth and is trying to reach you, extending hope, love, joy, and peace. Will you receive God’s ultimate gift? As we wrap up 2017 and look ahead to the New Year, we open this gift of peace that Christ offers us. It’s a peace with God, a peace within, and a peace with one another. What needs to be rebuilt, repaired, or reinforced in your life? Your marriage? Your faith? Your finances? Your relationships? Your career? It’s time to get the walls back up. Join us this fall as we explore the book of Nehemiah and discover God’s blueprint for rebuilding the things of life. November 5 – "Inspection & Inspiration"
Before we can be a fixer-upper, we need to take an honest assessment at the damage, and then inspire others to join us in our rebuilding efforts. November 12 – "Overcoming Discouragement"
November 19 – "Fight to the Finish"
We all have giants in our lives but we don’t have to be intimidated or defeated. We can rise above the giant and conquer our fears with God’s power. Join us in September as we watch the giants fall. David versus Goliath. Epic showdown. Join us as we retrace the steps in the ancient valley to discover who the real Champion was and still is. What keeps you awake at night? The antidote to fear is faith and the soundtrack of faith is worship. For this giant to fall, we must learn to live from acceptance not for acceptance. Join us as we unpack what this entails. Could it be that God may be asking us to step into holy discomfort - the place where our faith really thrives? Are you a ticking-time-bomb? Do you occasionally fly off the handle … #$@&%*! Then you’re familiar with this next giant – Anger! We’ll be learning to wield God’s weapons of forgiveness, & identity. Besides, God is our avenger. What can’t you live without? What problems do you have that you need to mask the pain or emptiness with an addiction? Do you find these questions a little too personal or intruding? Well, the path to victory over addiction is the path of vulnerability. Imagine if our church received a letter from Jesus Himself. What would Christ say about our passion for God? Faithful service? Endurance in trials? Would His words bring commendation or condemnation? The truth is we have such a letter. In Revelation (the last book of the Bible), we have a record of Jesus’ final words to His Church through seven letters to seven churches. This summer we’re going to examine Jesus’ words to these seven churches and consider what He is saying to ours! Has your faith grown cold or complacent? Perhaps it’s time for a jumpstart! Are you feeling the squeeze right now? Discover how Christ draws close when His people suffer. Carol Graves from Miller-Keystone will share a brief word with our congregation. What’s worse than growing cold in your faith? Being lukewarm! Tepid faith makes God sick! But it’s never too late to turn back to Christ! September 3 - "Being Healthy While Laboring for God’s Kingdom"
Listen as guest speaker and clinical therapist, Joshua Hostetter shares about the Biblical importance of health in the life of a follower of Jesus. Powerful truths live in some of our favorite movie moments. Join us this holiday weekend as we explore these truths with free buttery popcorn! What keeps you from sharing your faith with others? Learn how can you use the resources and opportunities you already have to shine out Jesus’ light. 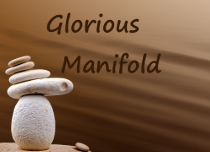 On this Mother’s Day, our worship band and team will lead us through a variety of worshipful expressions - drawing our focus on the numerous meaningful names of God. Worship, Scripture, and prayer woven throughout this unique service. Victory Park has never looked better! On Saturday morning, a team from Daybreak joined forces with a few volunteers from Royersford Borough and got to work! The volunteers spread mulch, planted a few flowers, did some edging, and general clean-up. Daybreak provided some refreshments which were enjoyed by all the volunteers! 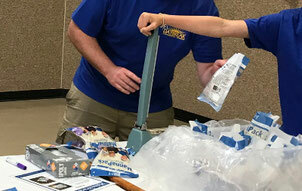 Thanks to everyone who participated and helped to shine out Jesus’ light in this hands-on way! More pictures available in our Google Photo album. March 6 - April 28, 2017 is Daybreak's 40-Day New Testament Bible Challenge! Are YOU ready to take the challenge of reading through the entire New Testament in 40 days? Sign up with Pastor Dave and you'll receive your own copy* of the New Testament for this program. Read on for more information and helpful links. eReaders & audio & more: Resources for this reading program can be found at: http://www.biblica.com/cbe/nt-download/ . You will find a link for an e-Reader file (.epub) of the New Testament version being used for this program. You can also download .mp3 audio files for listening on your audio device. email reminders: If you'd like daily emails to help you keep on track with the reading plan, you may subscribe at http://www.biblica.com/cbe-nt/ . 1) What's something that you noticed for the first time? 2) What questions did you have? 3) Was there anything that bothered you? 4) What did you learn about loving God? 5) What did you learn about loving others? 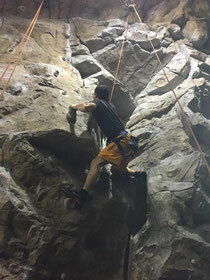 Several Daybreak guys took this ancient Biblical promise seriously as they enjoyed an afternoon of indoor rock climbing at Reading Rocks on Sunday afternoon, Jan. 29. They bypassed the amateur flat walls and headed for the difficult, sharp-angled, jutting rock formations. Camaraderie and conversations were enjoyed by all. This was Daybreak's 2nd annual rock climbing! See you next year! View the entire picture album on Google Photos. Join us for this 4-part series dedicated to helping all of us build healthy & God-honoring relationships! While this series has particular relevance to couples, it does not exclude single adults. How well do you communicate with others especially those you care about deeply? We’ll unpack some Biblical skills for improving our overall communication in relationships. Although many of us hate conflict and do our best to avoid it, it is a common and actually vital aspect of love. Learn how to resolve conflict in ways that build trust and security in relationships. Relying on God’s Spirit to help us adapt to the things we cannot control in relationships and trusting God’s deep love in and through the people around us. A New Year is a new beginning: a chance to renew ourselves, our relationships, our faith. What will be the new you? January 1 - New Year’s Celebration: "A New Creature with a New Purpose"
It was a very special time as the carols were sung, as all the kids introduced themselves and a blessing was prayed over the family before we left. The other gifts were secretly delivered to the mom later in the week. This family will enjoy opening these wonderful gifts on Christmas morning. 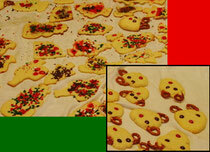 It was a houseful of joyful cookie making, baking, & decorating! Our Daybreak children eagerly showed up ready to make dozens of cookies for our upcoming night of Christmas Caroling. That's right, on Dec. 17, we'll be delivering them to various church friends and family as well as spreading some Christmas cheer through caroling. 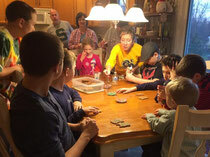 Jeff and Lorraine graciously opened their home and assisted with our cookie baking. 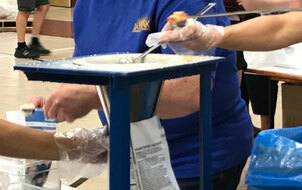 Special thanks to Darlene and Shelley for patiently helping our children and to Jack for delivering some delicious pizza! It was a fun night enjoyed by everyone! 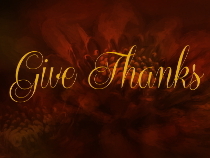 Join us for a time of thanksgiving to God and a unique way to express our thanks to one another. We’ll be taking Communion as part of our worship service. 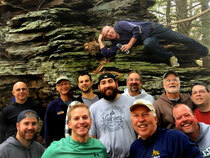 On October 20-22, Daybreak held its 15th Annual Men's Retreat at the Tyson cabin in Central PA! 13 Men joined the adventure this year! 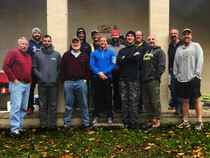 Though at times the conditions were a little wet, these guys still enjoyed a very fun time together over delicious home cooked meals, card games, whiffle ball, hiking, target-shooting, and bonfires. We welcomed first time guests to Retreat: Ty & Chris! Our theme this year was "Chase the Lion" from 2 Samuel 23:20. Just like Benaniah 'chased a lion into a pit on a snowy day', we were challenged to pursue dreams that are destined to fail without divine intervention. We re-imagined what God might want to do in our lives if we stepped out in courage and faith. We wish to thank Phil & Kent Tyson for their exceptional hospitality and meal preparation! Proverbs has so much to teach us about our day-to-day lives. Ready to increase your IQ for everyday life? Join us this fall for “Wisdom that Works” based on the book of Proverbs! Get ready for a fun journey through Proverbs! Godly wisdom for raising kids through every age & stage. Wealth isn't about an amount of money, but our attitude towards it! In this year’s election, what are some principles from Proverbs that can help us in the voting booth? Use our words to bless and not burn others. The story of Ruth is a fascinating tale of romance, intrigue, loss, redemption, and ultimately of faith. Join us these 4 weeks as we journey alongside Ruth and Naomi on a path from heartbreak to hope. Along the way we’ll learn much about what God wants to redeem in our lives if we’ll make wise choices with our emotions and faith-filled actions. In times of tragedy and loss, how do we properly grieve? Learning to work hard and trust God’s provision when times are lean and uncertain. Whether you are married, single or single again, come explore aspects of redeemed romance. How do we make this switch? Learning how our choices affect others? To say that our nation is caught up in a fitness craze is an understatement. Physical fitness has become a billion-dollar business in the United States and continues to grow. TV infomercials feature the latest fitness product on the market. The Bible teaches us that physical fitness is important, but being spiritually fit is everlasting. "Heart Healthy" recognizes that the discipline we establish while becoming physically fit helps us in our spiritual walk. It is hard for us to follow Christ with our lives if we are not also taking care of our physical and emotional needs. We all have questions. Are the recent shootings and terror attacks a sign of the end times? Should Christians play Pokémon Go? Is it okay for a Christian not to vote? What does God think about suicide, transgender, & Powerball? This summer, “You Asked For It” is your chance to find answers to the questions you’ve been asking. Topics YOU ASKED for! Thanks for the suggestions! It’s about Jesus. Join us for a worship celebration! When the Church & Parents partner together, you get the power of Orange! 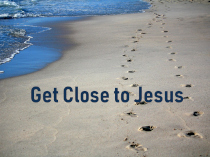 Explore Jesus’ one-on-one encounters with prickly people who were difficult to love. How did Jesus extend radical grace to these ordinary sinners without compromising God’s truth? 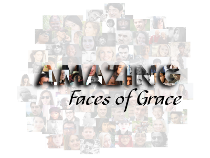 In this 2-week series, discover what makes grace so amazing! Jesus’ radical grace flows to unlovable people. Jesus’ radical grace that can transform even a tax cheat! May 15 - "Acts 2: The Gift of the Holy Spirit"
The necessary ingredient for the Christian life. 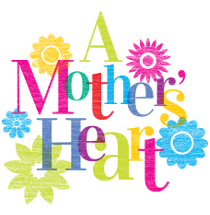 Moms in our lives give so much and deserve to be celebrated! Now it’s time to let mom know how appreciated she really is! Join us at Daybreak for a special service that will leave not only mom’s heart encouraged but the entire family feeling inspired as well. How should followers of Christ engage in politics? What might God be asking you to do? 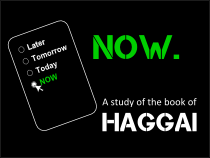 In this small obscure book of the Bible, we read about how God used a prophet, Haggai to lead Israel in rebuilding God's temple. Are you ready to take action and follow God’s leading … NOW? The best way to begin is to quit talking and start doing. Persevering through the tough stuff knowing God is with us. The greatest evidence of a right heart for God is obedience to God. No single event in human history has received more attention than the crucifixion of Jesus. In March we’ll begin a journey through the last 24 hours of Jesus’ life. 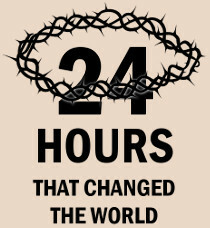 Whether you are a long-time Christian or simply curious about the story of Christ’s crucifixion, you are invited to join us for this powerful series as we retrace – 24 Hours That Changed the World. Accessing ‘resurrection power’ made available to us through Christ at work in us. What does it look like to be what Jesus termed - the ‘salt of the earth’ & the ‘light of the world?’ During this 2-week series we will explore how we live this out in our everyday lives. 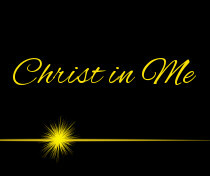 February 14 - "Christ In Me"
Accessing the sweet benefits of Jesus' power and presence that's available IN us as we follow Him. What if the essence of the story of God can be understood, applied, and shared in just four small words?. If we’re honest, most of us would admit to carrying around unnecessary baggage. It could be past hurts, worry, anger, or addictions... We’re loaded down with these carry-ons we were never meant to bear. God’s ready to check your baggage if you’ll let Him. Join us this January for “Baggage” and learn a lighter way to live! 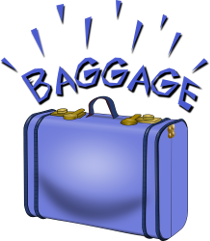 January 10 – "Life’s Carry-ons"
What are you carrying around that shouldn't be on your journey this year? January 17 – "Independent from Dependencies"
If you're struggling with an addiction, here's the path to freedom! January 31 – "Baggage Buddies"
Allowing others to carry your burdens and provide support especially when you’re stumbling along. Obedience is on us; the outcome is up to God! If you want God to use you, expect to be criticized! Feeling distant from God this Christmas? There’s good news for you! Pressing forward with a singular focus into the New Year. That’s something that we had to get behind again for the second year in a row as a church! Just to think that a child might hear about Jesus for the first time and could ultimately become a follower of Christ is an exhilarating thought! 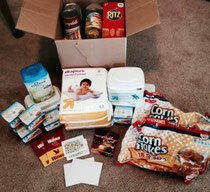 This year, we asked for donations of materials, supplies, and gifts for the boxes. 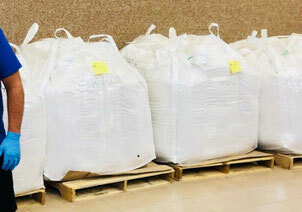 A heaping amount was donated by the generous folks of Daybreak including monetary donations that covered the shipping of all the boxes as well! 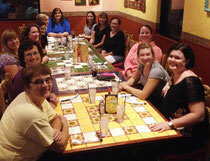 Then on November 15, our KidZone ministry came together in the evening for a special Packing Party! After devouring some pizza and cookies, the kids created a special craft containing their photograph and then packed up the 40 boxes. 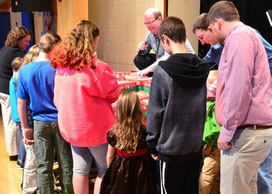 It was so special to watch the kids get so enthusiastically interested in filling their own shoebox with the goodies! 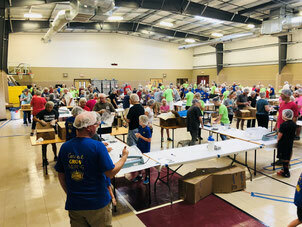 I’m so proud of our kids and the parents and leaders who helped out at this Packing Party! 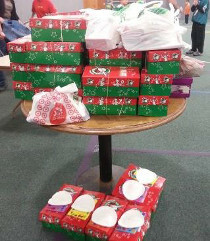 We circled the stack of gifts and prayed for the kids who would receive them. The evening ended with some thrilling games of gaga ball. 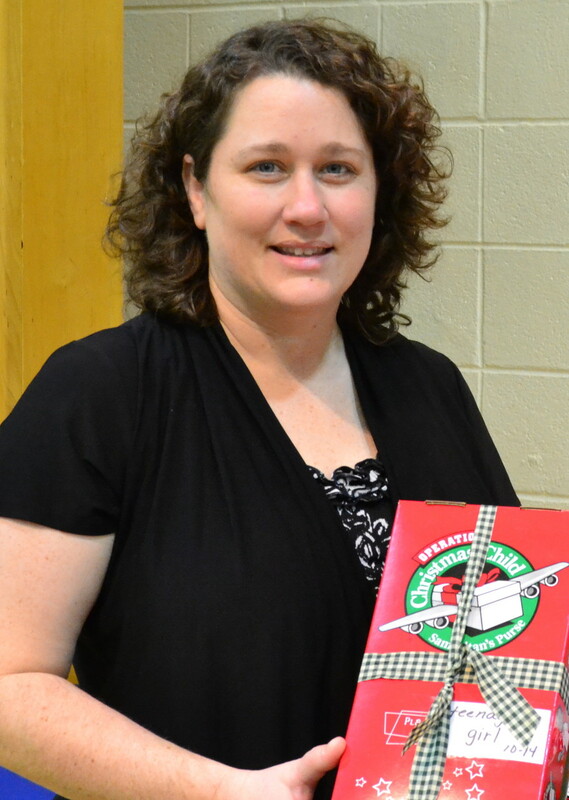 Special thanks to Darlene and Shelley for their coordination of the craft, and inspection and delivery of the boxes. Daybreak would also like to thank Trinity Lighthouse Church, Limerick for allowing us to use their space for our Packing Party! Well done Daybreak! Go directly to Google to view the picture album for this event. Thankfully with Jesus, failure isn't final. It’s not the end of your story. Find out how to heal and recover your identity in Christ after a #FAIL. ‘3 strikes and you’re out’ isn’t compatible with God’s grace. Be encouraged by how God can give you a fresh start after an epic fail. Even though we may turn our back on God, He never turns His back on us. A sweet grace that changes everything – even a person’s official name. God’s grace in the do-overs of life. It used to be that Sundays were set aside for church, rest and families. But, for many of us, Sundays have become just another busy day of the week with no time left for church or quality time with family. We wonder why life isn’t working so well for us. Discover how your relationships, work, finances, and health can all be transformed by the decision to make Sunday the best day of your week! Discovering the importance of spiritual rhythms and rest. Learning to use Sundays to improve family life. Why is the church such a big deal? Retelling God’s story while tracing themes of family and church. The secrets and surprises of keep on keeping on. Celebrating 15 years of ministry at Daybreak! 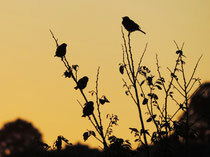 Evening arrives earlier, the shadows warm and long. Summer lingers yet fall is nearly upon us ... when the seasons ready themselves for change, we ready our hearts for reflection and renewal. Fresh vision for where God is leading our church this fall. Hear teasers and info about our various Fall Life Groups that are launching the week of September 20! Knowing what’s best begins with knowing God. Unlock the power of knowing God through prayer. 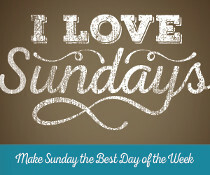 Sunday was meant to be the best day of your week! Find out why. You see it every single day - be it online, in the news, or across the street. Innocent people suffering. Injustice. War. The big guys taking advantage of the little guys. Do you ever feel like God is just not fair? This August, discover how an ancient Bible prophet can inspire a modern day faith in God’s promises. Why does a good God allow so much bad in our world? God appreciates our patience but prayers on hold can leave us frustrated and discouraged. Why does God make us wait? Worshipping and trusting in God EVEN IF our circumstances don’t change. It's HOT outside! Come and be refreshed! Know that Jesus walks with you! July 12 - "Called by God"
Guest speaker, John Hawbaker (from Brethren in Christ World Missions) will be preaching this Sunday and also sharing information about missions. God’s universal call is to holy living. But God has also called us to serve him in our work; some He has called to cross-cultural service. Learn how we can get involved in missions through prayer, giving and serving. We all want autonomy. That desire is natural, but it's also problematic because it can cause us to drift toward isolation. We need the forced, sometimes uncomfortable, structured relationships that groups provide. 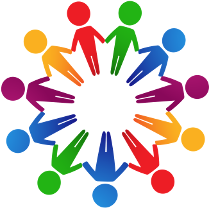 You need community and somebody in community needs you. In the story of Elijah and the widow of Zarephath we see that God still goes to unlikely places, still uses unlikely people, still implements unlikely strategies to produce unlikely outcomes! 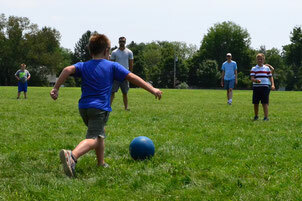 Picnic Lunch (pack your own, bring a lawn chair or blanket) & family kickball after the service. August 2 - "Faith and Work"
Part 1: Sharing the greatest gift of love. There are 9 flavorful qualities of life that God’s Spirit produces in us as we’re connected with Him. This Spring, we’ll be taking a bite into these juicy fruits and sampling the delicious results of producing this kind of fruit in our everyday lives. Looking at the first juicy fruit of LOVE. As we define love, we’ll realize that no person can do this completely, only God can. Is your joy … full? Joy isn’t necessarily getting what you want but is instead appreciating what you already have. Job 6:10, Psalm 30:5 & others. Peace is more than the absence of violence. Learn how God's Spirit can produce peace in our lives that sweetens our everyday relationships and nourishes our souls. Expecting things to happen at the speed of light; frustrated when God often moves as the speed of a seed. More than a single, isolated action, this fruit of kindness is a constant awareness and obedience to the promptings of God’s Spirit within us to care for those around us. For goodness’ sake … we’ll explore how this fruit at its core is energized character that strategically, systematically, and prayerfully pushes back the darkness of the world so that the light of Christ can shine through. Faithfulness is divine repetition. It’s not just doing good. It’s doing good. It’s doing good. Discover how this fruit of faithfulness is a loop of love. Joy on repeat. A pattern of patience. Reprises of kindness. Reoccurrences of goodness. Don’t squish the grapes! Learning about the spirit of gentleness and handling people and situations with care and grace. Don’t eat too much watermelon this holiday weekend! Yes, we’ll conclude the series by learning how to make decisions against yourself. Join us this Sunday for a unique unplugged worship experience at our usual location, Brooke Elementary School. Bring along your favorite lawn chair or blanket as we all worship on the gym court. We’ll also be wrapping up our Juicy Fruit series with a watermelon bash! Set-up will be minimal so that we can enjoy the holiday weekend! Also, thanks to everyone who pitched in and contributed to the delicious lunch! I know many of you had very busy Saturdays but I appreciate your joyful participation! It made for a terrific day! As followers of Christ, our homes should be places where the Lord Himself lives and His glory shines. The reality is we can't imagine this ever happening because all families have struggles. Let's take a look at how we can live a life that glorifies God as we do relationships in ways that honor Him. our fast-paced, always-on, 24/7 world? January 11 - "The Stop Sign"
January 18 - "Breathing Room"
January 25 - "Technology Sabbath"
We will start off the New Year with a focus on prayer. January 4 - "Living on a Prayer"
More than a good song, living on a prayer is not just an exercise in eloquent speech. It’s not even a mysterious practice for only pastors and the religiously devout. Prayer is simply communicating with God. 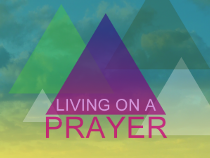 As we kick off the New Year, let’s revisit the basic principles of prayer and activate our prayer life in 2015. Daybreak kids delivered their homemade cookies & ornaments and sang Christmas carols to our friends at Golden Age Manor in Royersford. The residents really appreciated the Christmas cheer! Thanks to all the kids and adults who participated! That’s what shining out Christ’s light is all about! During these 4 weeks leading up to Christmas 2014, prepare your heart for the real story of Christmas that is more wonderful, fantastic, and life-changing than we ever imagined. 2014 Advent Calendar that you might find helpful in your preparation and anticipation for Christmas. Most of us despise unnecessary periods of waiting. Right? Two older saints in the Christmas story will help inspire us to not just wait passively but instead to wait proactively. Repentance, a word we don't often associate with Advent, is an important component as we prepare for Christmas. If we want to be a part of a great work of God, we must allow God to do a great work within us. Joseph's voice may be silent in the Bible, but his actions are loud! His life preaches a powerful sermon on what it means to trust and obey in every way - a God and a plan much bigger than you can even fathom - which leads to ultimate joy. We'll journey with these interesting wise men as they joyfully follow the star, arrive in a spirit of worship & adoration, and present gifts to the newborn King. As we enter a new year, let's take an inventory of our lives to see if we are truly living out the mission and purpose for which God created us. God is >* .. If you or someone you love has been touched by a disease like cancer or experienced the pain of rejection, God has a word of hope for you! Discover how the prayer of faith releases God's power-- overcoming fear, healing disease, forgiving sin, and even adding life to your years! In this series, we’ll discover how God’s greater than all the ugly, scary, and painful things in our lives! October 19 – "God is > Sickness & Disease (Part 1)"
Discover how passionate prayer cured the king's cancer & added 15 years to his life! October 26 – "God is > Sickness & Disease (Part 2)"
Does God still heal sickness & disease? Learn how! November 2 – "God is > Physical Disability"
Hear about the first miraculous healing in the Early Church! November 9 – "God is > Me"
Submitting to and living for our God in humility and reverence. 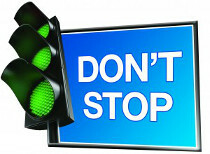 November 16 – "God is > My Addictions"
Biblical steps to identifying and overcoming addiction in our lives. November 23 – "God is > Sin & Evil"
Turning to God during time of testing and temptation. "There's no place like home" … when it's functioning properly. We desire homes where peace, happiness, and contentment abounds but so often we stumble through our most important relationships. 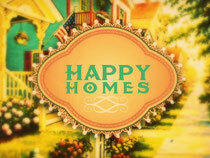 In "Happy Homes", discover four home-altering qualities taken from Jesus' most powerful sermon. Learn how to create a hunger and thirst for God in your home. 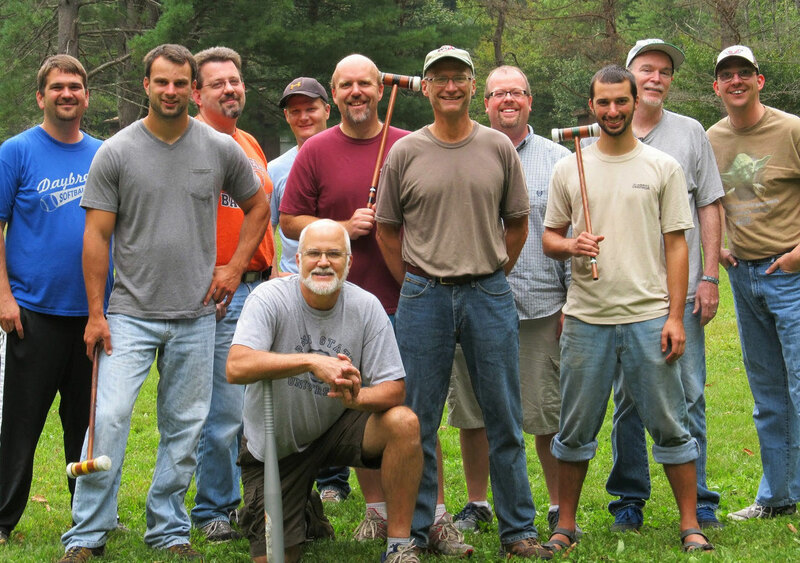 Men’s Retreat 2014 took place in sunny September for the first time ever. 12 guys were able to retreat to Central PA and enjoyed a wonderful time together. This year’s theme was "Winning at Life" and there was thought-provoking discussion around the campfire from the "Parable of the Talents" in Matthew 25 and how that applies to our lives. As always we ate like kings, conducted intense whiffle ball competitions, blasted clay birds out of the thin air, pretended we knew how to play croquet, hiked part of a mountain, lit up the night sky with fireworks, and much more. Thanks to Phil for hosting our rowdy bunch and for all the food prep! 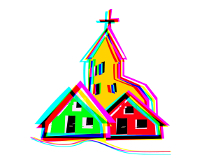 We encourage families to participate in the AWANA Bible Club for Kids at Trinity Lighthouse Church, 66 South Limerick Road, Royersford PA 19468, 610-948-5560. Contact Trinity Lighthouse Church to enroll. Begins September 7, 2014. He's an average Joe who faces many of the same hardships which you and I deal with in our own lives. But he's not alone. His God is anything but ordinary! This summer join us for the story of Joseph - yes, the one with the amazing colorful dreamcoat! Joseph's story is one packed with lessons but also points to Jesus as God provides for the family that would bring forth the Messiah. A colorful coat, a dream, a pit, a slave. This begins the story of Joseph. July 27 - "Family Struggles"
August 3 - "The Purity Test"
August 17 - "Only God"
August 24 - "Oh, Brother!" 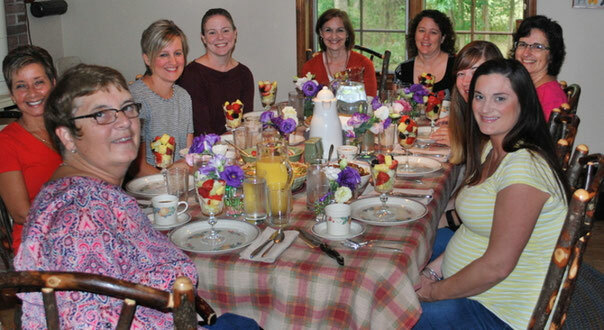 August 31 - "The Big Reveal-God's Great Plan"
September 7 - "Grouped for Life Change"
Meet new friends, be encouraged, and have fun in Daybreak's new Life Groups launching in October! You may be one community away from experiencing life transformation! 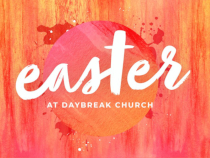 September 14 – "Connect, Grow, Shine"
Be inspired with fresh vision to move from spectating to participating at Daybreak Church in these three specific ways – connect, grow, shine! Sign up for a Life Group and change your life! 296 water balloons ... and then there were none! Over 20 kids from Daybreak and the community enjoyed soaking wet fun with sponges, sprinklers, and water balloons as Daybreak held its first ever Kidz Splash event! Many hotdogs, chips, cookies, and freeze pops were consumed before a brief Bible story was shared. Thanks to everyone who participated and helped make this such a fun time for the kids! A new outfit, with friends, good hair day, down the shore, with my kids, at a concert, just having a good time … we're all taking selfies these days. But how do you really see yourself? This summer, getting some perspective on how God sees you might give you a new view of yourself. God sees you not as a cheap throwaway but as His masterpiece. Check out what that all looks like and means for us! God see you as an overcomer equipped to conquer negative attitudes and sin with supernatural weapons. God sees you as someone He chose to represent Himself! How well are you living this out? God sees you as His disciple. When a follower of Jesus Christ sees a need, they meet it. When they see a hurt, they seek to heal it. 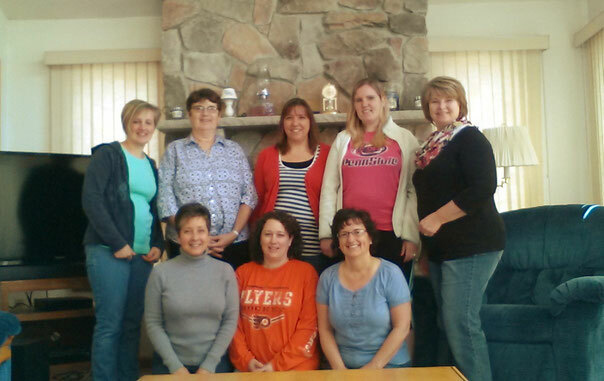 We were privileged to have Jenny Gehman from LiveWell Ministries come as our speaker for the weekend. Her theme was Steep Your Life. She showed us six places where we could spend our time - Stress, Shame, Sin, Self, Situations and Suffering. But she used the tea theme to show us that we need to be immersing and steeping in our Savior rather than the other six sites. In our Savior, there is rest, peace and comfort to face life's challenges. Thank you to Jenny and the ladies for soaking in so they can pour out. Like the board games we played as children, life is filled with twists and turns, setbacks and surprises. We play the cards we’re dealt; we take risks, face adversity, suffer losses, and sometimes reap rewards. How are we supposed to play the game of LIFE? In this sermon series we will explore the day-to-day challenges of life and learn how to live according to God’s plan. When you're at a crossroads in life and need clarity, try asking these 4 key life questions. 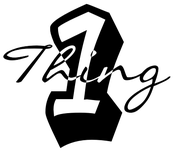 Without thoughtful intentionality, things can quickly topple. Learn the things we must make room for in our lives. As Mom used to say, "Watch your mouth!" Learn the steps to better handle aggravating relationships. We will be holding our worship service outdoors at Victory Park at 6 PM. This will be held rain or shine on this holiday weekend. We’ll enjoy a night of worship, connections, teaching, and don’t forget the soft pretzels and water ice! But the best part will be our assembling of “breakfast bags” for needy families in our community in partnership with Open Door Ministries. This is a great way for us to provide some basic necessities, help brighten their day, and invite them to connect with us at Daybreak! Our kids will have the opportunity to help decorate the bags with pictures and encouraging words. Would you consider helping us with the following items? You can bring these to the park where we will be assembling the bags before and after the service. Jesus had life-changing impact on people. His teaching, His style, His miracles, His humility, His compassion, & His resurrection. Perhaps it’s time you experience a fresh encounter with Jesus! March 16 - "Nic at Night"
A prominent religious leader inconspicuously engages Jesus in conversation late at night. His encounter with Jesus changes everything. As we look closely at the transcript of this discreet dialogue, we may never leave the same. March 23 - "Wanna Drink?" Forget the high-pressured sales pitch, preachers, and Gospel tracts...learn how Jesus shares the Good News over a cold one! March 30 - "Better than LASIK"
Jesus miraculously heals a man who’s been blind since birth. But it’s what the man sees after his sight is restored that makes all the difference! April 6 - "The Good Shepherd"
Learning what it means to live as sheep in the care, protection, and love of the Good Shepherd. April 13 - "Dirty Jobs"
Humility stinks! It means getting down & dirty to serve those beneath you. The disciples encountered Jesus in a special way as He humbled Himself by washing their feet and said to do this to others! April 20 - "God’s Not Dead"
Encountering the risen Jesus on this first Easter morning!